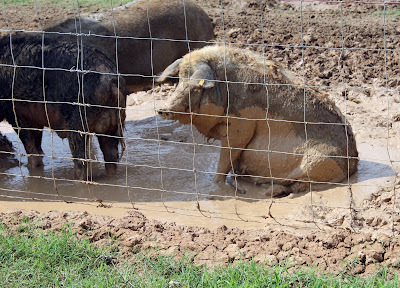 On a hot summer day at the end of June, we found ourselves traveling to another local farm to see some unique heritage breed pigs raised by Fort Farms. Since there were 9 of us, we met at a central location, then "followed the leader" to our first stop for the day, The Lenoir Store in Horatio, South Carolina. 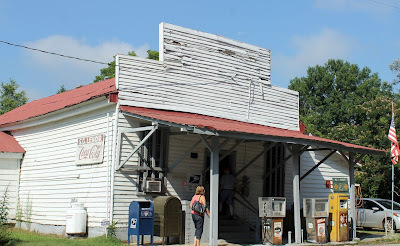 The Lenoir Store, built prior to 1878, is a surviving example of the “old general store” and a standing reminder of life before strip malls and modern supermarkets. It is a one-story, weatherboard-clad building on a brick foundation. The gable end metal roof is disguised by a simple false store front. The porch is supported by simple knee brackets and plain square wooden posts. Though the store now has prepackaged goods on its shelves, it maintains the look of the old general store and all of the equipment used in its early days, including an old cheese cutter, a tobacco cutter, ice tongs and penny scales. The store still serves as the local post office, since 1900, and retains its postal equipment installed at the turn of the century. It continues to serve as a focal point of the Horatio community, a small but readily identifiable community above Stateburg in the High Hills of Santee. 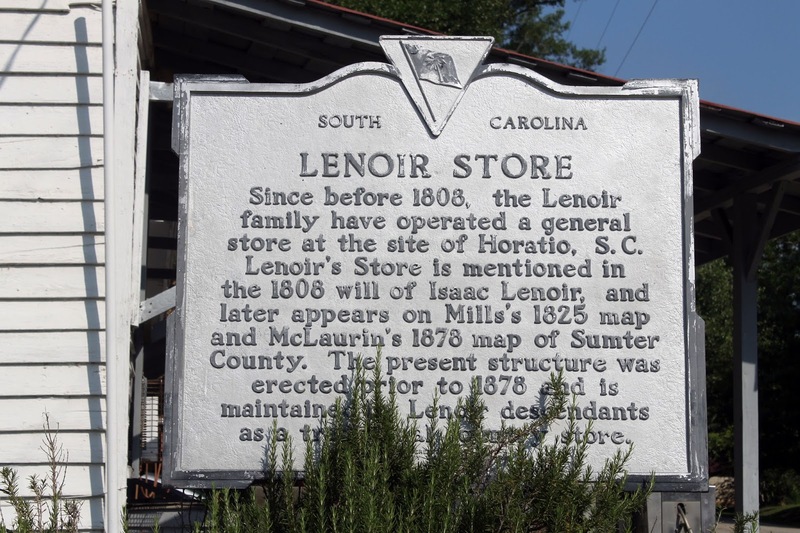 The Lenoir family has operated a general store in Horatio since before 1808. 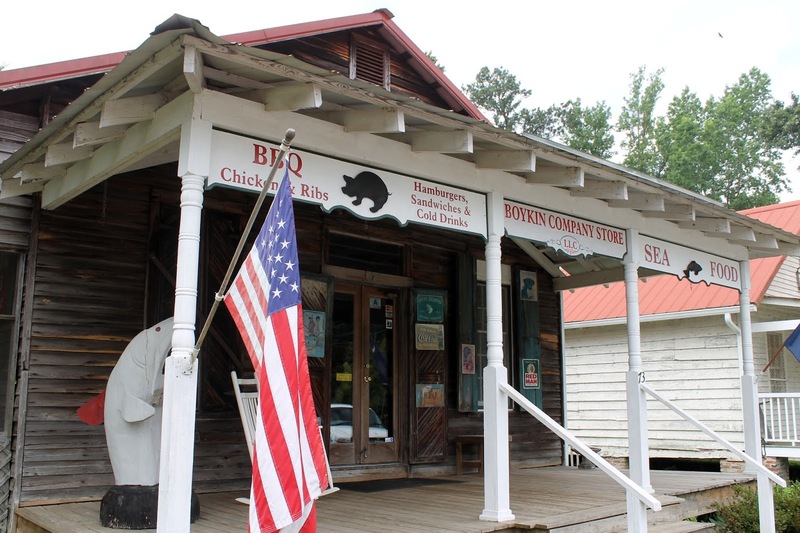 It is the oldest business establishment in Sumter County. Listed in the National Register July 3, 1997. (Source: South Carolina Department of Archives and History). What a treasure! It was fascinating, but soon it was time to load up the cars and head out to our destination for the morning ... Fort Farms! 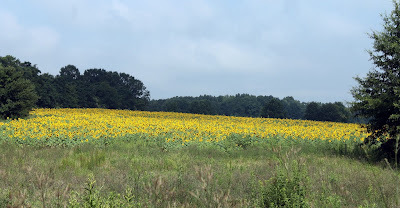 We followed Edward down the road a bit, then turned onto a dirt road that meandered around a few curves, and past this enormous field of sunflowers, until we found ourselves in the pasture with the pigs! Everyone piled out of their cars, and introductions were made all around. Edward greeted the group and said " I want to thank everyone for coming today. So many people today have no idea where their food comes from and they, especially children, think their food is manufactured, so it's nice having you here." 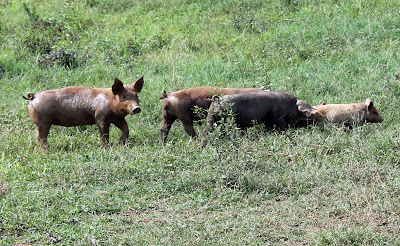 With that he continued to talk about the breeds of heritage pigs he raises, to include Mangalitsa, the Kobe beef of pork, Berkshire, Large Black, Tamworth, and Red Wattles. 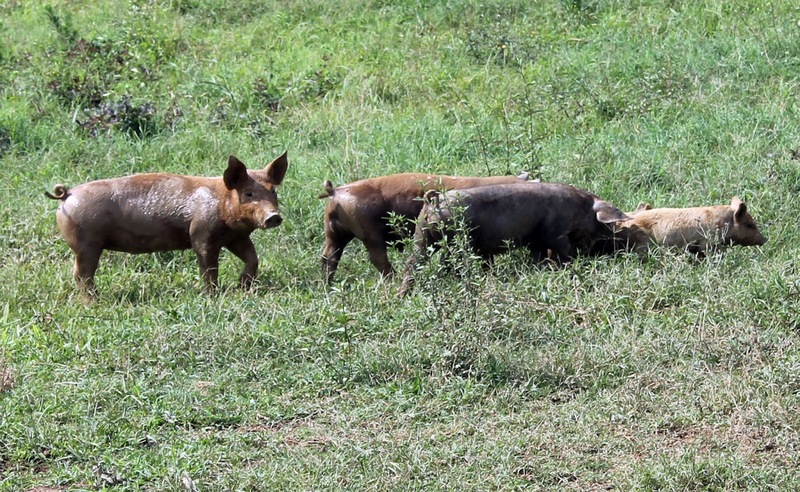 In the distance we could see some of the Mangalita's with their young, in a nice lush pasture. "Our pigs eat an all-natural diet, and a variety in food is important for their nutrition. They graze on native plants, grasses, and forage seasonal nuts and fruits. They dig for tubers, grubs and insects, providing essential nutrients. 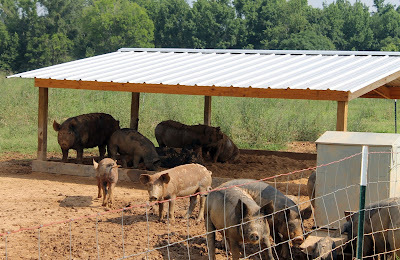 We supplement their diet with our feed of wheat, high-oleic peanuts, and barley. 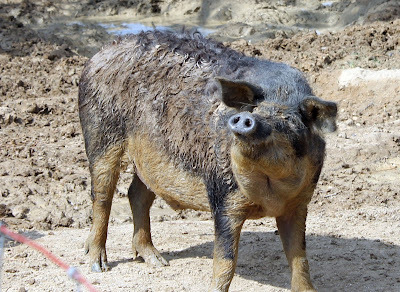 In the fall, a selection of our finest pigs are finished for about a 45-day period on a diet of acorns and chufa, producing a nutty, delicious meat flavor. A mile-long corridor of white oak trees provides thousands of acorns, and they root the chufa tubers planted beside them. Our pigs receive no routine antibiotics or artificial supplements. 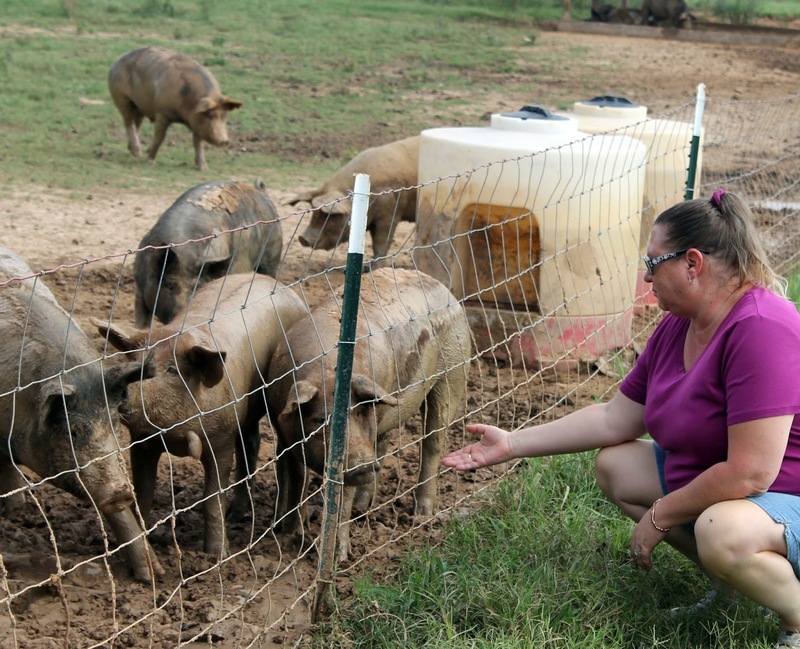 They grow at a slower, more natural rate, 8 months to a year, producing a pork product that is superior in flavor and better for you." Fort Farms is family-owned, and operated on 1,300 acres, located beside the bluff banks of the Wateree River in Horatio, South Carolina. This picturesque area, referred to as the High Hills of Santee, is well known for its healthy climate, fertile soil, and abundance of natural resources. 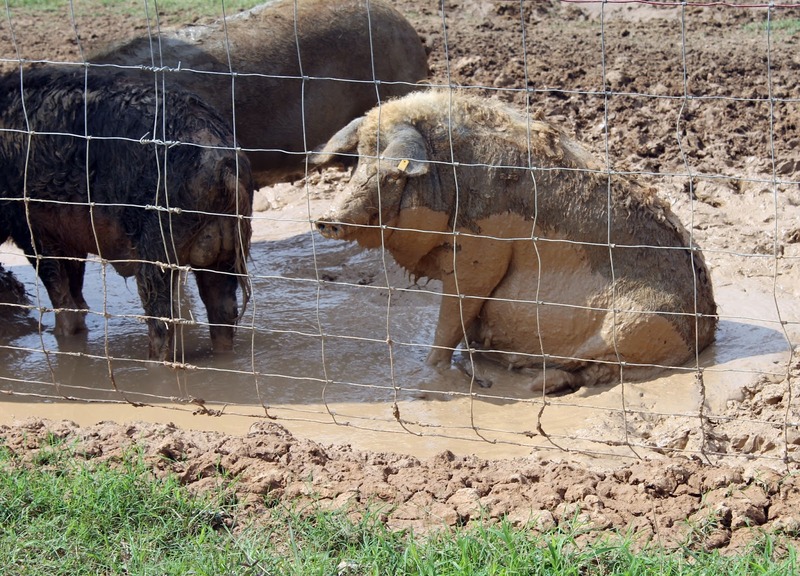 It provides an ideal environment to raise our heritage breed pigs, which thrive in the outdoors and are easily adaptable to our southern weather conditions. Fort Farms pigs are a labor of love for us, and we proudly hand raise them the “old fashioned” way. 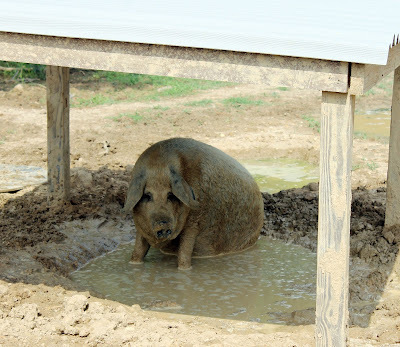 We treat our pigs with the utmost respect and give them the attention they deserve, care that only a small family farm can provide. 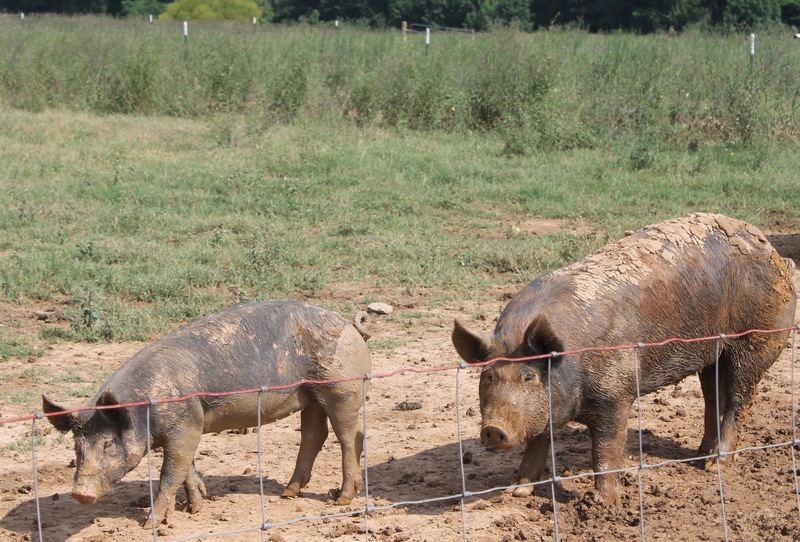 Our free-range system of rotational grazing ensures that our pigs live a happy and humane life during their time on our farm. 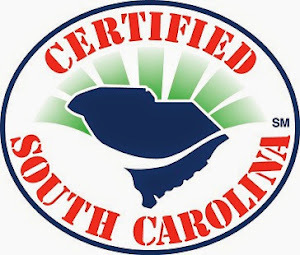 Our goal is to provide an all-natural, delicious pork product that you can feel good about eating and serving to your family, your friends or customers, and is superior in taste and quality." Fort Farms future plans include having complete animal butchery on the farm in a USDA facility (after slaughter at a local humane processing plant), and offering their own charcuterie to include prosciutto, cured hams and country hams (possibly as early as the holiday time-frame this year). YES! I can't wait! We wrapped up our time visiting this great farm, proceeded back to the Lenoir Store to buy some Fort Farms products and headed to the the Boykin Mill Store for lunch where we were treated to a Fort Farms fried pork chop, dirty rice, baked beans and coleslaw or potato salad. All in all, it was a great day supporting local and eating local. You can purchase Fort Farms products at the Lenoir Store, at the Kershaw County Farmers Market, or online via their website. See my recipe for grilled Fort Farms pork chops below! 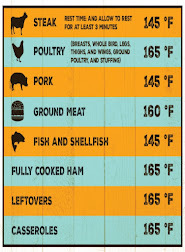 Bring pork chops to room temperature. 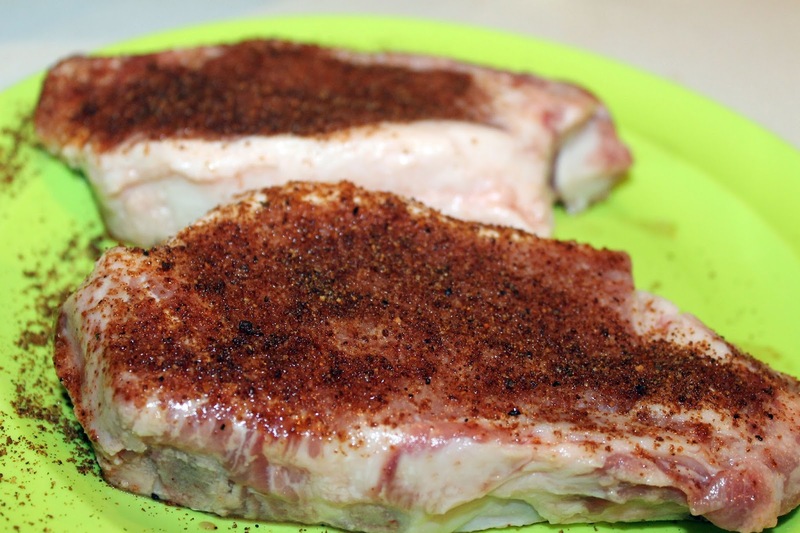 Sprinkle pork chops liberally with Willie's Hog Dust or your favorite rub. Remove from grill and let rest 5 minutes before serving. Serve with your choice of sides.